Why are doulas becoming so popular in Australia? Why are doulas becoming so popular in Australia? I believe that this could be because maternity care has changed and become more medicalised hospital maternity care. This is not an attack on midwives, but on our broken maternity care system and the shift to become obstetric-led care. Since the movement from home birth to hospital birth, the role of the midwife is changing in many hospitals across our country from “being with woman” to one that has become more clinically focussed with charting, documenting and performing clinical observations and this is where doulas are being hired by women to give them that non-medical support and continuity of care. Women are choosing doulas because they want more. Midwives and doulas share a common goal – for women to have a safe, calm and undisturbed birth. Trust between these two professions is important to establish a team environment. Both are working to help the labouring woman achieve an optimum birth experience or navigate her to feel safe and calm if special circumstances arise. The old saying “it takes a village” is indeed instrumental in helping a woman through childbirth and beyond. Now more than ever it is important for doulas and midwives to create a synergy of strong partnerships to share the same goal of helping women empower themselves to birth in their own way, as strong and healthy mothers. Doulas are highly trained professionals who provide continuous physical, emotional and informational support to a woman and her partner before, during and after childbirth. This can apply to a woman planning a physiological birth, home birth, hospital birth or a planned caesarean. Doulas regularly attend continuing education to ensure that they are up to date with the latest research and evidence-based practices. They also learn techniques such as massage, acupressure and optimal positioning so they can have a toolbox to help the mother manage pain, feel comfortable and avoid interventions and drugs if that is her desire. Many cultures ensure that a birthing woman is surrounded by women who are experienced in childbirth for protection, comfort and confidence. Sometimes just having another woman there who is solely there for her can be incredibly nurturing and increase the confidence of the birthing woman. It makes such a difference when she is feeling safe and calm and has already established that rapport and trust with another female who understands her and is connected to her because of the continuity of care over weeks or even months before labour begins. This in no way is meant to replace the role of the partner who is there to love, support and protect the mother as well, and the doula supports the partner to support the mum. The word “doula” comes from Greece meaning “woman servant or slave” during the time of Aristotle, however women have been supporting women through childbirth for centuries. 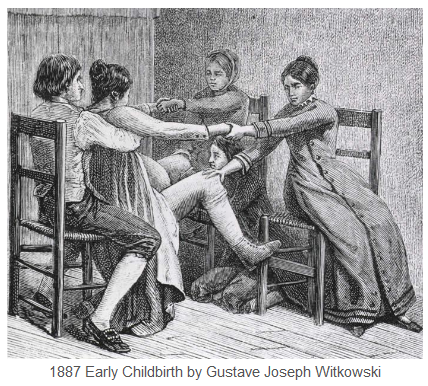 The first birth workers to call themselves “doulas” may have started in the USA. As early as 1969 American medical anthropologist, Dr Dana Raphael, referred to women supporting women during the postpartum period as doulas and again in 1973 she refers to doulas in her book “The Tender Gift: Breastfeeding” as those giving support physically, mentally, emotionally and spiritually before, during and after birth. She acknowledged that it was normal practice for a female of the same species to be a part of childbirth, and in human society this was traditionally performed by a family member or friend who stayed with the labouring woman and contributed to long-term breastfeeding. The first recognised doula training started in 1992 with Doulas of North America (DONA) and has gained in popularity ever since. 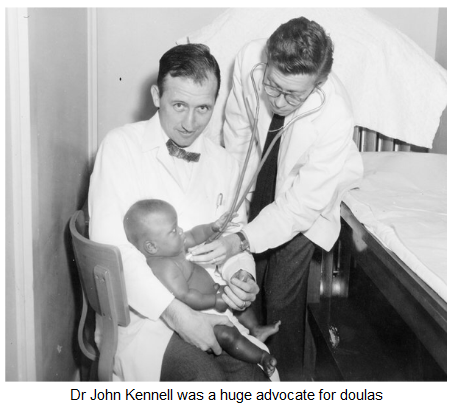 In 1993, appreciation for doulas was highlighted after the publication of Mothering the Mother, by American neonatologist Marshall H. Klaus, paediatrician John H. Kennell, and psychotherapist Phyllis H. Klaus. 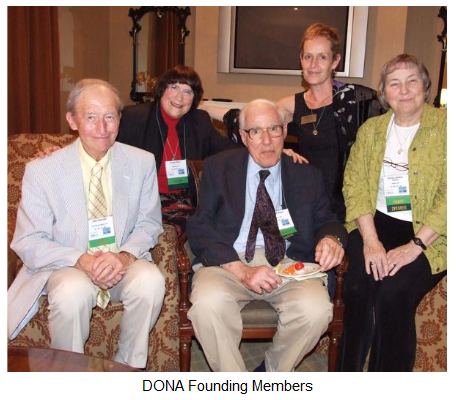 Dr John Kennell along with 4 of his colleagues’ Dr Marshall Klaus, Dr Phyllis Klaus, Penny Simkin and Annie Kennedy are the founding members of DONA – one of the first and largest doula training organisations in the world based in the US. African American women have a long history with doulas, particularly during the 1870’s right up to 1965 when hospitals denied access to black women, forcing many to birth their children at home. But as race-based legal barriers vanished and the medical profession strongly promoted hospital births as the safest option, fewer women practiced as doulas. Doulas of colour have a strong commitment to supporting women from their communities. Given the evidence linking doula support to improved birth outcomes, successful recruitment and retention of women of colour as doulas may support better birth outcomes. 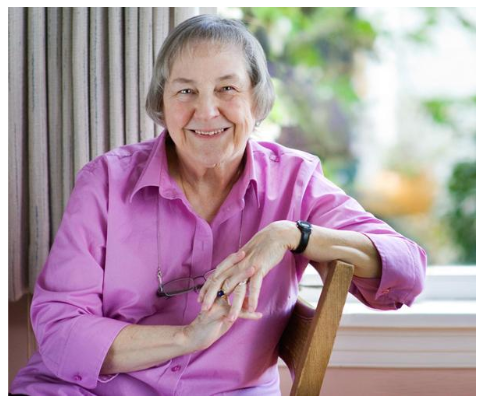 World renowned birth expert and author Penny Simkin has long been one of the biggest supporters of doulas and shares how doulas have had such a positive impact on birth outcomes. She herself is a doula and childbirth educator and is also one of the founding members of DONA. A growing body of research shows doulas really do make a difference. The latest research compiled in August 2017 by Evidence Based Birth showed that women who had a doula were 39% less likely to have a caesarean. Less likely to have a baby with low Apgar scores. The use of a doula has clear benefits for families during childbirth and the postnatal period. My name is Vicki Hobbs and I am a mother of two amazing girls, who due to their age gap have helped me to adapt and become more patient and resilient through life changes, while improving myself on many levels to become who I am today.